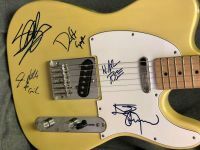 Guns n Roses signed guitar telecaster perfectly signed by W Axl Rose, Slash, Duff, Steven Adler and Izzy Straddlin the nicest original lineup signed guitar I have seen! 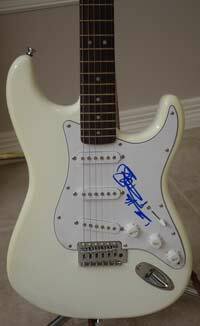 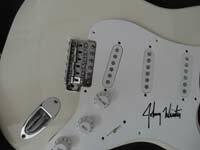 Jeff Beck signed guitar white Fender Squire Stratocaster signed nicely ON THE BODY by Jeff Beck! 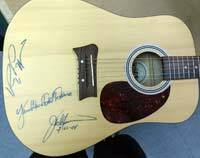 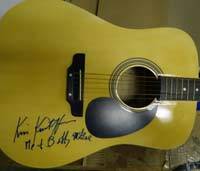 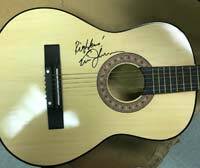 Kris Kristofferson signed Laurel acoustic guitar adding "Me and Bobby McGee"
Poco signed guitar signed by Rusty Young, Timothy B Schmit, Richie Fury, George Grantham and Paul Cotton the 1970-73 complete lineup! 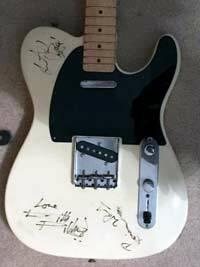 Rolling Stones signed Telecaster Fender Squire Telecaster signed by Keith Richards, Ronnie Wood and Charlie Watts. 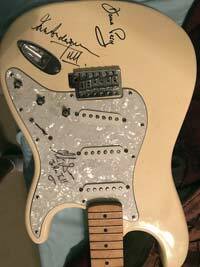 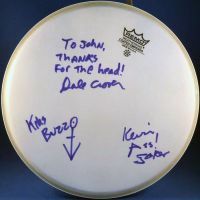 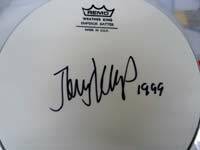 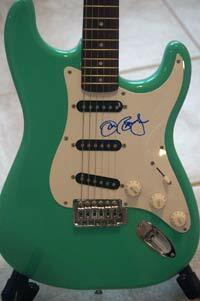 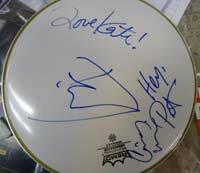 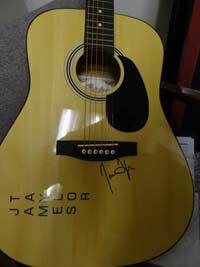 Some marks and blemishes on the guitar and signatures but priced right.